Before late January, Maryland looked destined to be a good, but far from great team inside the Big Ten. The Terrapins had posted a strong record and were ranked highly in the polls, but had yet to beat anyone of note and had survived a number of close meetings. Then, on January 29th, the Terps got their biggest win of the year, taking down third-ranked Iowa 74-68. The win proved the Terrapins weren't just a talented team on paper, they were a legit Final Four contender. A loss just this past week against a scorching hot Wisconsin team though, also indicated Maryland needed more work. Guard Melo Trimble is as good as anyone in the country, and Rasheed Sulaimon has really come into his own in College Park. Former five-star freshman Diamond Stone is frustratingly inconsistent, but he has his moments, and Jake Layman is a versatile and experienced piece. Depth and consistency could be a problem in the long term for the Terps, but as of now, they have proven themselves as a very serious player in the conference and on the grand stage. Even in a cluttered Big Ten where Iowa, Michigan State and even Indiana could claim the top spot, Maryland stays above. The Hawkeyes continue to use their veteran-laden lineup to roll through the Big Ten, squeezing past Minnesota last night. 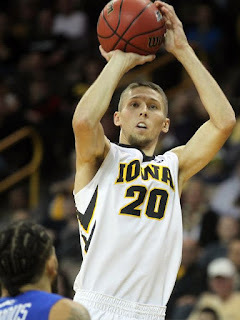 Jarrod Uthoff continues to play like the Big Ten Player of the Year; the former Wisconsin forward has a skinny frame but uses his long frames to get his shot off and also currently lead the conference in blocks. Sturdy Mike Gessell, underrated Peter Jok and Anthony Clemmons will also help guide Iowa as they continue through conference play. The Hawkeyes don't have a particularly difficult stretch remaining in conference play. Ohio State and Penn State should be wins, and while Wisconsin is flaming hot Iowa could very well end up on top over Michigan and Indiana. 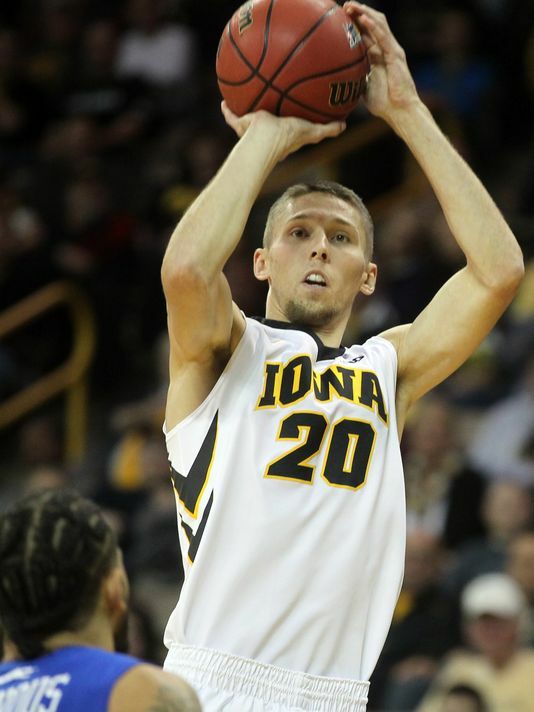 Depending on how they fare in the Big Ten Tournament, Iowa could very well have a shot at a No. 1 seed in the NCAA Tournament. Tom Crean has never had it easy in Bloomington. The Hoosiers were a wreck when he took over following the Kelvin Sampson era but he has turned the program back into a player on the national stage. This season has been no breeze either, as Indiana has an extremely young roster and lost stud guard James Blackmon Jr. early on. But, Crean has righted the ship in conference play, as the Hoosiers have lifted to a 10-3 mark. Senior guard Yogi Ferrell has led the way, helped by uber-athlete Troy Williams and the slowly improving Thomas Bryant at center. The Hoosiers have a brutal end of the season, with meetings coming against Purdue, Maryland and Iowa over the next few weeks. Those meeting should prove whether Indiana is a serious Big Ten and National title threat or possibly add flame to a possibly Crean hot seat. Conference play has not been kind to MSU and Tom Izzo. Injuries have certainly played a role but they aren't the only reason the team has fallen to a rather pedestrian 8-5 mark inside the Big Ten. Though, by all measurements, the Spartans seem to be trending up at the right time, as they typically tend to do. Denzel Valentine continues to make a strong case for Big Ten Player of the Year and the backcourt also includes underrated guards in West Virginia transfer Eron Harris and sharpshooting Bryn Forbes. MSU's frontcourt is not incredible, but Matt Costello has been putting together a grand finale in his final year in East Lansing, and is coming off a masterful showing against Indiana. While the Spartans have made been inconsistent and have played pretty mediocre so far in conference play, this has to be a team that is going to be very scary down the stretch. Early on in Big Ten play, Wisconsin's season seemed destined for disappointment. They were 3-4 inside Big Ten play and were ranked tenth in the conference in my previous power rankings, just a few weeks ago. Now, they have reeled off five straight wins and turned into a serious player inside the conference. Plus, it hasn't been like the Badgers are merely beating up on the low-tier teams inside the conference. They have beat Michigan State, Indiana and even Maryland on their hot streak. Greg Gard, who took over for Bo Ryan, has the Badgers believing again, and has found complements to stars Bronson Koenig and Nigel Hayes. Wisconsin has MSU next, and a couple interesting matchups as their season winds down. But, they could still improve their NCAA Tournament standing (No. 9 in Joe Lundari's Bracketology right now) and push to a Top Four finish inside the conference for the 15th consecutive season. Even well through conference play and with March Madness fast approaching, the Boilermakers still remain a team hard to get a read on. 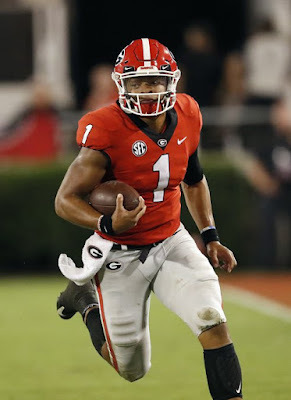 They have beat a number of quality opponents (Florida, Pitt, MSU, Wisconsin) but have also put up poor performances in a number of their losses (lost to Illinois, dominated by Iowa in both losses). A.J. Hammons is still one of the conference's best big men, and he has a number of strong veterans joining him down low. But, Purdue is still somewhat a mystery as they end their regular season with a couple tough battles, including Maryland and Indiana. Michigan is one of the most overlooked teams inside the Big Ten this year. Iowa, Maryland and Indiana have all been intriguing stories, and Wisconsin has taken up headlines lately. But, the Wolverines have improved dramatically in a year, due to more health and more experience. Guard Derrick Walton has put together a big season, and sniper Duncan Robinson is vastly underrated. Also, Caris LeVert is slowly getting back to 100 percent, and the Wolverines are starting to score more in the paint. Right now, the Wolverines sit fourth in the conference with those nine wins. If they can impress through a tough end to February and early March, they could very well rise quite a bit up these rankings. The Buckeyes were terrible in the non-conference portion of their season, but they seem to have figured things out as Big Ten play has rolled on. They are still an incredibly young team and Thad Matta has had no easy job replacing D'Angelo Russell and plenty of veteran leadership. Versatile Marc Loving continues to do good things, and the backcourt, which includes JaQuan Lyle and Jae'Sean Tate, oozes with talent. The Buckeyes likely won't be getting to the tournament this season (unless they do something magical at the end of this season) but they could still end the year on a high note and build momentum on to 2016-2017. While Wisconsin and MSU appear to be trending upwards, Northwestern has been trending in the complete wrong direction. The Wildcats have lost six of their last eight, including a brutal five game losing streak that knocked them out of NCAA Tournament contention. Though, the Wildcats are still not done yet. Bryant McIntosh and Tre Demps form one of the conference's best backcourts, and the schedule is ideal upcoming for Northwestern. Outside of Purdue and a trip to Ann Arbor, their schedule is pretty easy, which could build momentum for a sneaky run in the Big Ten Tournament. The 'Huskers lost a ton this past offseason from a team that underachieved greatly in 2014-2015, but have fought back to play okay this year. Sure, 14-12 overall and .500 inside the Big Ten is nothing overwhelming, but there is still progress being made in Lincoln under Tim Miles. This year, guard Andrew White has been the real deal. The Kansas transfer is averaging just over 17 points per game and leading the offense in a big way, while dynamic Shavon Shields continues to play well. Nebraska also has some winnable games down the stretch and very well could end the year at about .500 in conference play. After a decent start to their Big Ten slate, Penn State has been rolling downhill, but at least managed an upset of Indiana just a few days ago. That was seemingly erased by a poor showing in a 16-point loss to Nebraska but it should still give PSU a highlight to remember through another tough season under Pat Chambers. Forward Brandon Taylor has played like an All-Big Ten Player, but there just hasn't been enough around him. Games against Illinois and Rutgers could still give the Nittany Lions a chance to add to their win total before the year closes. Perhaps it is time Illinois moves on from John Groce at head coach. After overachieving in his first few years from Ohio, Groce has struggled lately including this disaster of a 2015-2016 campaign. 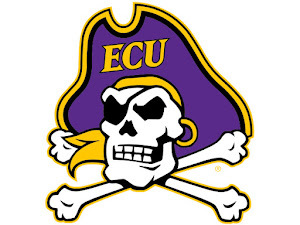 Not only have they limped to a 11-14 overall mark, they have been demolished by a number of the conference's elite. Still, Malcolm Hill continues to play at a high level, and there remains some high level talent on the roster. This could still be a team that could play some surprises out before the season concludes. It hasn't been a fun year in the Twin Cities for the Gophers. They are still winless in the Big Ten, and are searching for anything positive to take away from the year. Even though they are 0-13, the Gophers should still consider some good things: their young guys have been great, they have played hard this year under Richard Pitino, and their remaining schedule is very easy. Illinois still remains, as well as Rutgers twice. If sophomore guard Nate Mason can rally the troops, Minnesota could at least avoid going winless inside the conference on the year. When Rutgers moved to the Big Ten, they knew their basketball team would need time to catch up, considering the absolute beatings they had taken in the Big East for years and years. But, this season has been even more brutal than maybe some thought. The Scarlet Knights are 0-12 in Big Ten play and haven't looked competitive against average Big Ten teams. As they endure their third year post-Mike Rice scandal, it may be time to move on from alum Eddie Jordan, as the freefall continues.